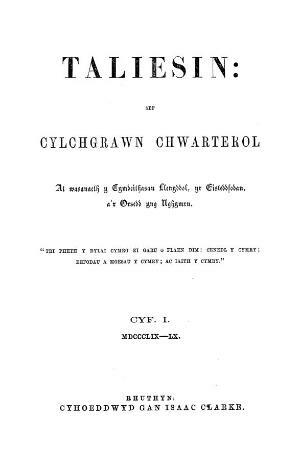 A quarterly Welsh language literary periodical serving the literary societies, eisteddfodau and the Gorsedd of Bards. The periodical's main contents were essays, prose and poetry submitted for competition to the eisteddfodau and literary meetings. The periodical was edited by the cleric and antiquarian, John Williams (Ab Ithel, 1811-1862).